August 2017 (14:52) – 6am light at La Jolla Cove with just me, the sea lions and the occasional swimmer. 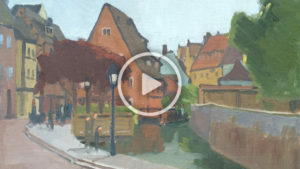 May 2016 (1:55) – Alla Prima Plein Air Paintings by Paul Strahm from Europe painting trip in May 2016. 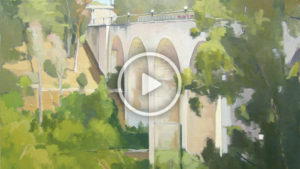 February 2016 (2:01) – See Balboa Park through the eyes of Paul Strahm, plein air painter. Cabrillo Bridge, Spreckels Organ Pavilion, Botanical Building, El Prado and California Tower & Dome, Alcazar Garden, Plaza de Panama, Reflection Pond, San Diego Museum of Art, Lawn Bowling, the Dog Park and the Spanish Village Art Center. 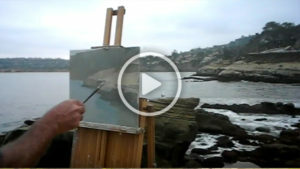 October 2009 (1:17) – San Diego Professional Plein Air Painter Paul Strahm painted alla prima while visiting Central Park in October 2009. 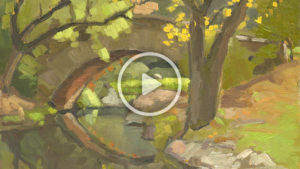 Enjoy his personal storytelling through his canvas, brushes and paint. 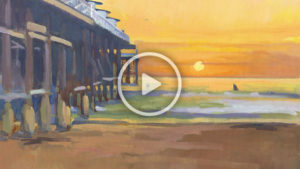 June 2008 (1:36) – These paintings were from my solo exhibition hosted by the San Diego Art Institute in Balboa Park, San Diego, California, USA, in 2008. Using the scene’s natural colors and thoughtful composition, my intention is to evoke the peaceful qualities that attract so many people to San Diego’s beautiful coastal region.